This election was an ideological contest between the conservative Goldwater and the liberal Johnson. Goldwater attacked big government and appealed to fears about the direction the nation was taking. 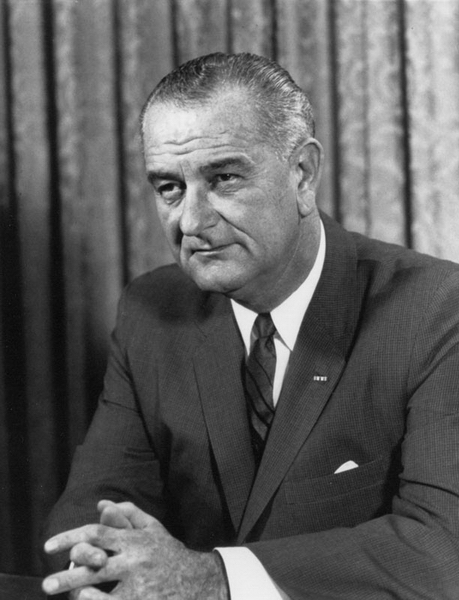 Johnson advocated the "Great Society," a package of domestic programs concerned with welfare, housing, education, jobs, and civil rights. Painting Goldwater as reckless, Johnson presented himself as a peace candidate in the face of the looming conflict in Vietnam. Economic prosperity worked to Johnson's advantage. 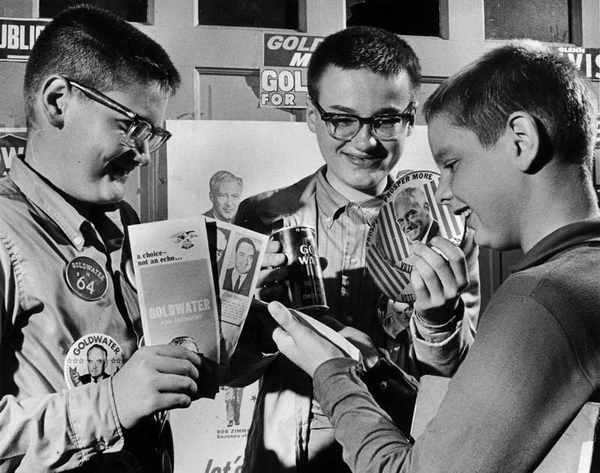 Young Goldwater supporters in Wauwautosa, WI, September 22, 1964. Photo by "Milwaukee Journal." 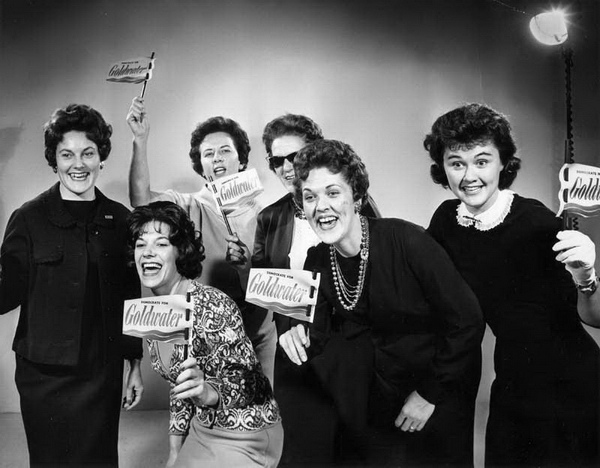 Representatives of Democrats for Goldwater from central Wisconsin, October 28, 1964. Photo by Robert Schmidt. 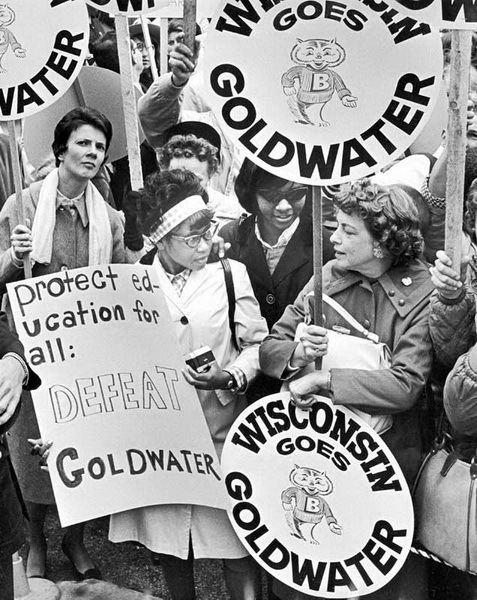 Goldwater supporters and opponents face one another at a Madison rally, September 1964. Photo by Ed Stein, courtesy of the "Wisconsin State Journal."